This workshop will showcase real democracy in action! This workshop will showcase real democracy in action! 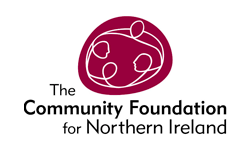 In the run-up to and during the festival we’ll be inviting people and groups to submit ideas for actions they would like to take to support and enhance local democracy in Northern Ireland. Awards of up to £500 will be available courtesy of the Building Change Trust. Everyone submitting an idea will then have an opportunity to share their proposal with the audience at this event. The audience will then decide who gets the awards by voting for their favourites. The event is based on the innovative participatory budgeting methodology and attendees will also have a chance to hear how this democratic approach to local decision-making is being promoted and developed across Northern Ireland through the PB Works network. To submit an idea click here! Have fun and help make the change you want to see in the world! Get involved: do you have a creative idea to re-imagine democracy? The ‘Imagine Democracy – You Decide!’ initiative, as part of the Imagine Belfast Festival of Ideas & Politics, is seeking creative actions by groups or individuals that re-imagine local democracy through activism, campaigning, creative expression, building public awareness, etc. For example, you might want to organise a public action, event or visual display to raise awareness or promote action around an issue you care about; encourage voter participation at the upcoming local elections; or persuade government and/or your elected representatives to take action on a particular issue. We’re very open minded as to the type of actions that can be supported and are hoping you’ll inspire us with your creative ideas! Members of the public who attend the event will deliberate and decide which ideas receive £500. Successful applicants who have submitted an Expression of Interest Form will be invited to do a 3-minute public ‘pitch’. Members of the public attending the event over the age of 10 will discuss and vote for their favourite ideas. The top six ideas (more if funds allow) will receive up to £500. Each attendee will have multiple votes so you can vote for your favourite idea and others that you are interested in. The winning ideas will be invited back to a celebration event in June 2019 to share what they did with their awards. The ‘Imagine Democracy – You Decide’ initiative is an example of Participatory Budgeting, a democratic innovation where members of the public come together to explore community priorities and decide directly how public money is spent. It is part of the Participatory Budgeting Works project funded by The National Lottery Community Fund through the Building Change Trust.